medEssentials for the USMLE Step 1 integrates essential information across various disciplines in one manual, structured by organ system. First- and second-year medical students can use this high-yield reference guide to prep for the USMLE Step 1 and as a supplement to med school curriculum. Complete review of all core science concepts covered in medical programs and the USMLE and COMLEX exams. Complements both organ system and discipline-based curricula. Page design provides more space to take notes for better review and retention. Features illustrated tables, bolded terms, and 12 pages of full-color medical photos for better comprehension. 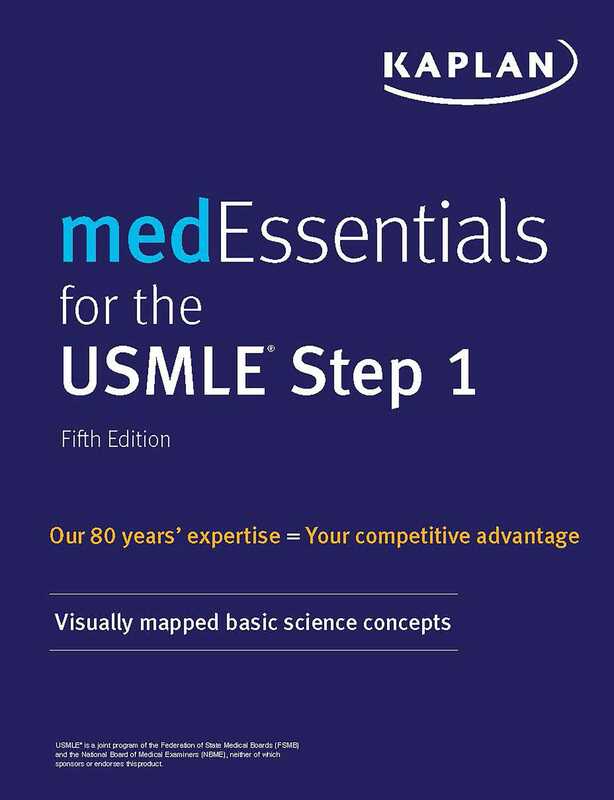 Highlights the highest-yield review concepts for all topics tested on the USMLE Step 1.